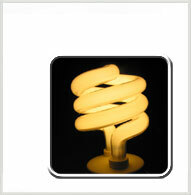 Often the least-expensive kilowatt-hour is the one never used. Since 1970, the U.S. economy has become 49% more energy-efficient. Efficiency, as opposed to conservation, does not need to compromise our comfort. Over 70% of the primary energy consumed by the U.S. Electric Grid is currently wasted. Since wasted energy is wasted money, we show clients how elegant efficient solutions tend to be the most economical as well.